Whether you are a CCNA student or experienced network engineer this IP Subnet calculator tool will make your subnetting life easy. The online tool can be used to calculate prefixes for IPv4 and IPv6 networks from IP address and netmask or CIDR. 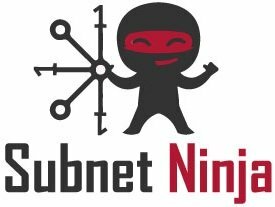 The Subnet calculator will produce a table with the network address, broadcast address, netmask, CIDR, wildcard mask, number of address in the prefix, first / last host and the address types (Global / Private, Unicast / Multicast, IPv6 link local, and more). For students that practice subnetting we also added the binary representation of the prefix to the ipcalc. The IP calculator tool is designed to be Mobile Friendly so please feel free to bookmark and use it from any device you prefer.